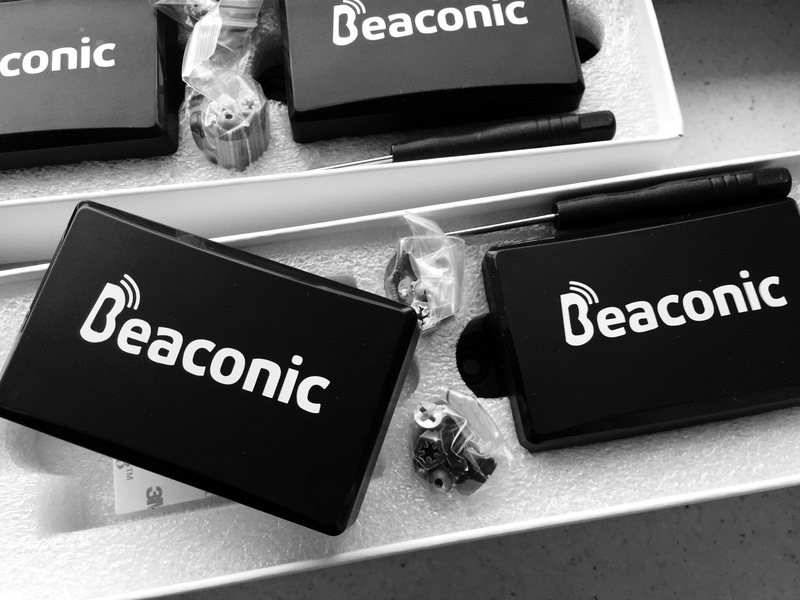 February 18, 2015 Beaconic reinvents hardware and brings NEXT generation POWER iBeacons to market. 150 METER (490 FEET), 5 year (AA) battery lifespan iBeacons with Apple certification and SDK. Beaconic first made headlines when they announced they were ready to make it easier for European retailers to implement iBeacon technology. Their iBeacon Retail Kit makes it easier for small business owners to set up with iBeacon and communicate with shoppers. Beaconic has been iBeacon licensed by Apple for its hardware / software since 1 year. Beaconic added a new POWER iBeacon to it’s product line with totally renewed chip design and a lot of other improvements. Its called the Beaconic POWER kit with the NEXT generation of iBeacon hardware currently available on the market. These iBeacons are powered by double AA batteries and increased range to 150 METER (490 FEET). It contains multiple back panels with screw mount and 3M sticker mount and the batteries are easily replaceable. Because of chip improvements and a totally new battery system they have a lifespan of 5 YEARS and after this the AA batteries can be replaced. Beaconic is now again one of the most complete and cheapest iBeacon licensed supplier in the Europe. Beaconic released their first app in the iTunes store on February 4, 2014. The app is quick and easy to setup, and it allows any size retailer to communicate with shoppers via micro-location technology. Retailers and users can now download the app for free in the iTunes store from their Apple device. The first set of retail kits launched earlier this year and the company has announced they plan on releasing a second batch this month. Beacons are in-stock and ready for purchase. A tremendous amount of retail kits have already been sold in Europe — with a high concentration being sold to local museums, resorts, hotels, and cinemas. Beaconic released the first iBeacon kit for retailers in Europe in 2013. They offer a promising platform that can handle more complex campaigns — including countdown-based promotions. The company is based out of the Netherlands. For more information visit the company’s website or download the app in the iTunes store.